Noisy Garage Doors are A Symptom Of Potentially Much Bigger Problems. Noisy Doors Typically Mean Something Is Not Running Smoothly. Most Standard Garage Doors Have Ten Rollers On them. Builders put The Most Inexpensive Rollers Possible On A Garage Door in Most Cases in Order To Save Money. Utility Rollers Are NOT Designed To Last A Long Time. Utility Rollers Come In Steel and In Vinyl. 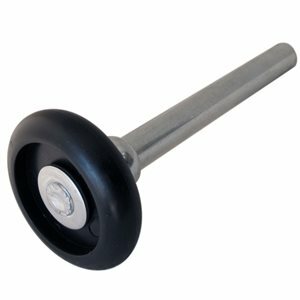 The Steel Rollers Will Alert You Almost Like An Alarm When It Is Time To Change Out The Rollers. Clicking, Popping, Wobbling, Dragging, Scraping, Grinding And Drag Damage Are All Signs Of Bad Rollers. 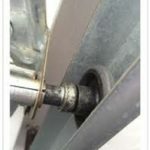 Grinding is Binding, and Bad Rollers Put Your Garage Door At Risk For Cable Loss. Cable Loss Is The First Stage Of A Garage Door Off Track Situation. 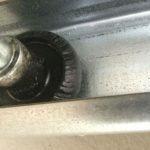 The Pictures Below Show Examples of Bad Vinyl Utility Rollers. The First Has Drag Damage On it That Is In The Beginning Stages. The Second Picture is a Roller That Has been Dragging in the Track So bad that it is Actually Jumping Position In The Track. These Rollers Should Be Changed Out Immediately. The Garage Door is At Risk Of Coming Off Track. Steel Rollers Send Off A Shrill Sound Of Steel on Steel as they Grind And Bind and Drag. They Put Your Garage door at risk Of Coming Off track and Losing Cables Off the Drums. Utility Rollers Go Bad Inside of Two Years Depending on the weight Of the door. 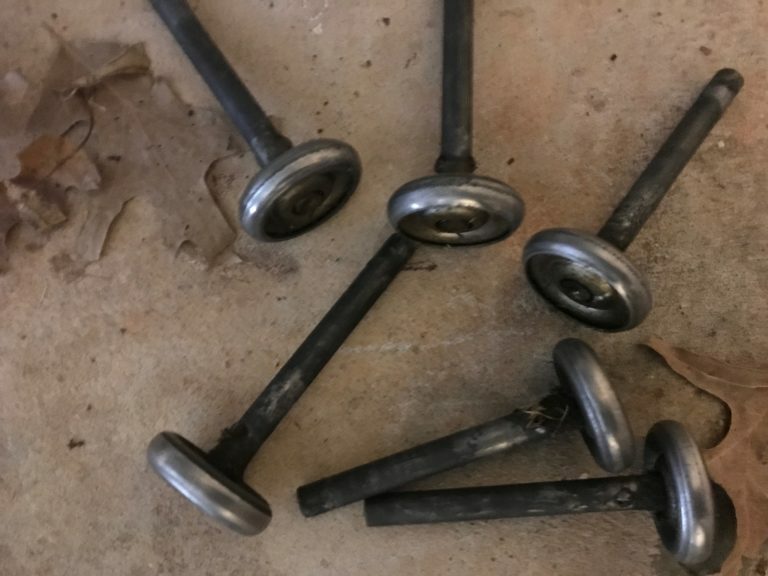 These Rollers are actually Good Rollers That Have Not Been Serviced. 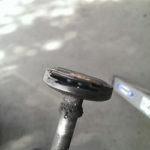 Failure to service your Rollers Will Cause A good Steel Roller to Go Bad. Once The Rollers Start To Go Bad. 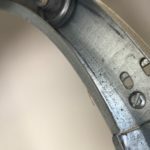 You can Lube them, They will Get Quiet but They Will Still Be Bad and Should Be Changed Out Immediately in Order to Insure that Your Door Continues to Work Properly. Vinyl Garage door rollers are not recommended. They are a utility roller and only expected to last a couple of years. These rollers are also deceiving. They can be binding and dragging in the track and unless you know what you are looking for they may appear to be okay because they remain silent even when they are failing. Steel Garage Door Rollers are better than the Vinyl Roller but only because when they go bad you know it! They Scrape, Drag, wobble, Click and Pop. 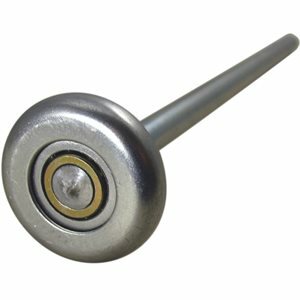 If your Garage door is Noisy, you have steel rollers, and the door is over a year old. Bad Steel Rollers is probably the Reason. Change them out. Not recommended. You will never have to lubricate it and we guarantee it will never go bad. If one goes bad we replace ALL the rollers you have installed with us. NO QUESTIONS ASKED! 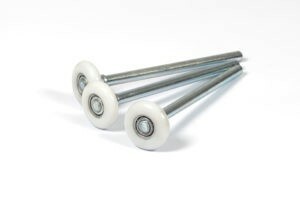 Our Customers Instantly hear the difference with these rollers. 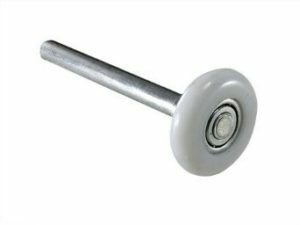 Same as Above with regard to quality but these rollers when put in the corners will reduce the risk of the door coming off track and we warranty Your Garage Door against That failure when these rollers are installed on the corners. This is a specialty roller and is NOT common. Installation requires a lot of labor vs. the replacement of the rollers listed above. That is why it is so Expensive. YIKES right. 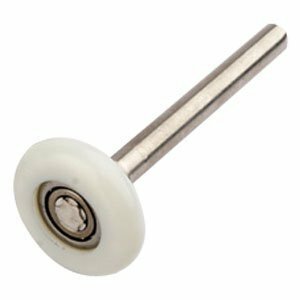 This is really the only roller we would recommend on Giant Heavy doors that require a 3″ roller. 69.00 discount on garage door roller installation is available.